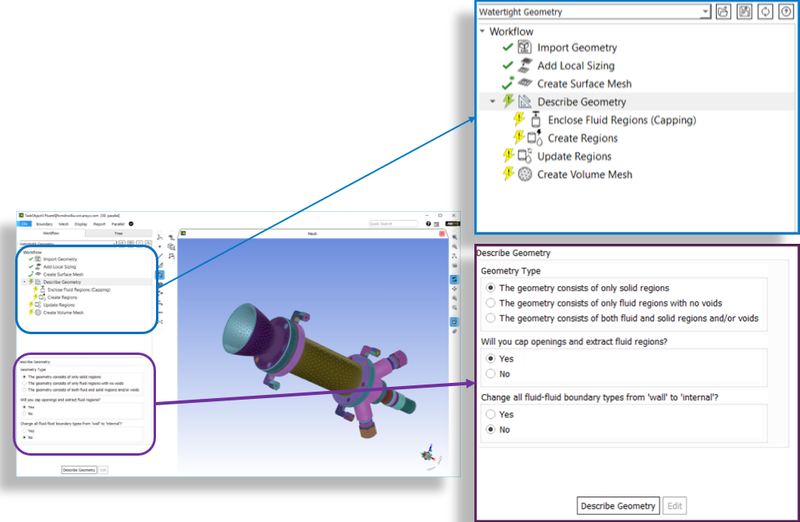 Fluent 19.2 introduces a new highly-automated task-based meshing workflow for Watertight CAD geometry. Now, with minimal effort and training, you can obtain a high-quality CFD mesh with minimal user intervention. The task-based workflow guides you through an organised simulation process which makes it possible to achieve high-accuracy results in less time. At each step in the process, the software reduces the options to only those that are relevant at each point in the process and provides best practices as defaults. Benchmark data show that users complete a watertight geometry workflow with 70 percent fewer clicks and 50 percent less hands-on time. User also have the ability to create, modify, save, distribute, record and replay custom workflows which can then be used on other geometry. ANSYS 19.2 Fluent New release Workflow: Please click here to view a video on the new workflow.